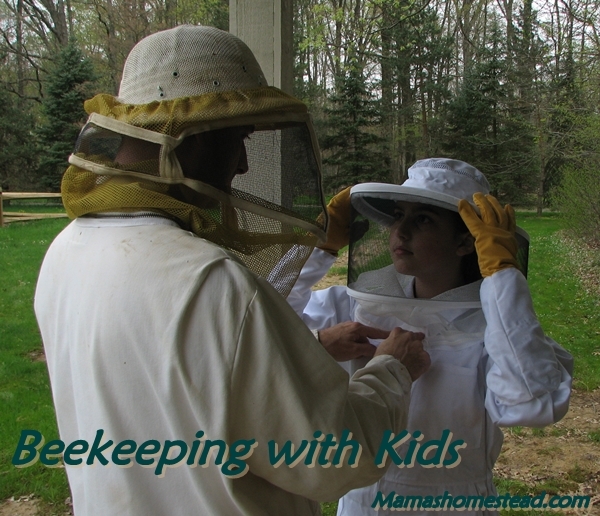 Spend time beekeeping with your kids. A few years ago, my daughter Hannah, started to take interest in beekeeping and decided to take it as a 4-H project. Since I have been beekeeping for so long, I could answer most of her questions. BUT, as you know…kids think of questions to ask, mostly tiny details, we adults don’t think of asking. As the questions started pouring in, I had to do more research and strengthen my knowledge. Beekeeping with kids became more of a learning experience than a teaching experience. I was excited to delve in to the many resources available about honeybees and learn as much as I could. Where does “bee glue” (propolis) come from? I know it’s a dance, but how does a honeybee REALLY tell the rest of the hive EXACTLY where the flowers, pollen, water, etc. are? 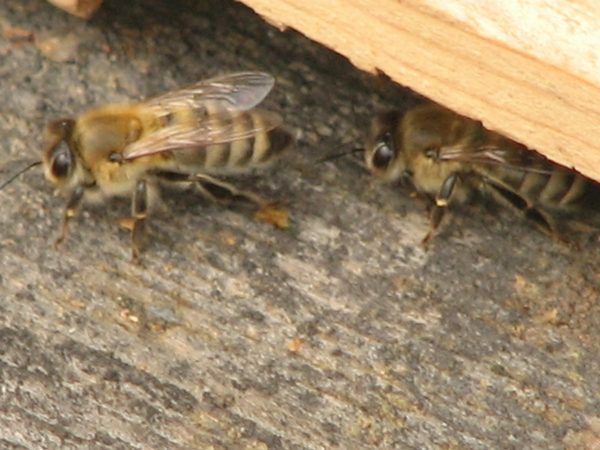 How do honeybees get the pollen to stick to their legs? There were many more, but you get the idea. The more the questions poured in, the more research I had to do to get the answers. I (we) learned a lot. 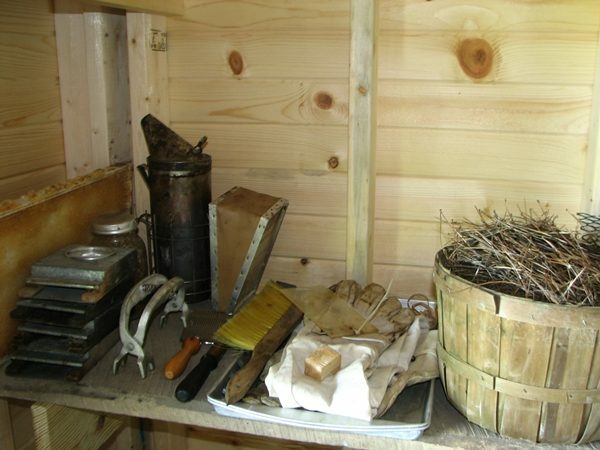 We started with the basics; parts of the hive, jobs of all the bees in the hive (especially Her Royal Highness-the Queen), the bee suit and how to put it on (so you don’t get stung), and all the beekeeping tools and their uses. 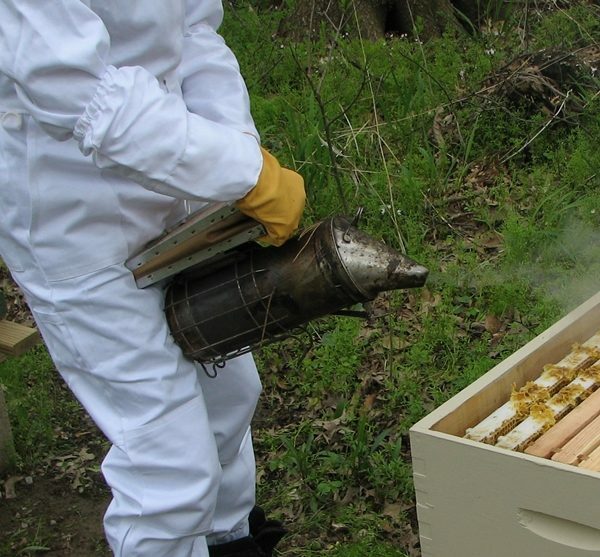 After learning all about these things, I figured it was time to crack open one of the hives and show her what is inside. She was a little hesitant, but excited and fascinated by what she saw. If you ever get the chance to suit up in help open a beehive, I hope you will take the opportunity. If you want to learn more about beekeeping in your area, call your local county extension agent, they can hook you up with a local beekeeper, or beekeeping club (yes, there are clubs for just about everything), they will be more than happy to give you a tour of a beehive. We offer a Beekeeping Class here on Mama’s Homestead. 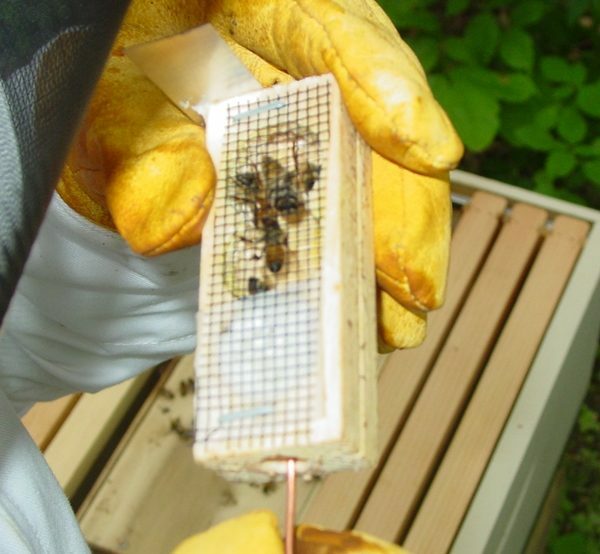 We cover the basics of beekeeping. The bee, their jobs, where they live, and how the beekeeper interacts with them.